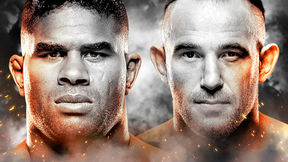 TUF 14 Ep.1 Scrappers Sep 21, 2011 (1:16:01) After Dana White greets the fighters and outlines a few exciting new twists for Season 14, 16 bantamweight and 16 featherweight hopefuls face off in a day of elimination fights at the Mandalay Bay Events Center. Coaches Michael Bisping and Jason "Mayhem" Miller take in the action from the sidelines. TUF 14 Ep.2 I Against I Sep 28, 2011 (36:52) Coaches Michael Bisping and Jason Miller select their teams from the crop of victorious Featherweights and Bantamweights. The first matchup is chosen, and one fighter is forced to deal with his severe anxiety issues. TUF 14 Ep.3 Death Leprechauns Oct 5, 2011 (36:48) Tempers flare during a Team Bisping practice. As the pranks ramp up a rivalry brews between Akira Corassani and Dustin Neace, while John Dodson allies with members of the blue team. Then, 2 bantamweights square off in the second quarterfinal fight. TUF 14 Ep.4 Get the 'F' Up Oct 12, 2011 (37:10) Bisping uses insider information to prepare his next fighter. Mayhem tries to identify who on his team is consorting with the enemy. 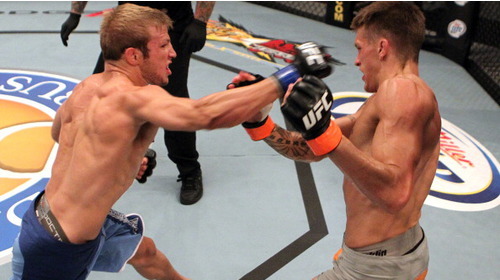 Preliminary fights 3 and 4 result in a Featherweight and a Bantamweight moving ahead in the competition. 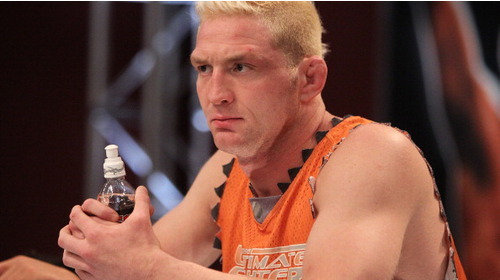 TUF 14 Ep.5 Swagger Jacker Oct 19, 2011 (36:47) Mayhem hatches a sneaky plan to throw off Team Bisping. The rivalry between Akira Corassani and Dustin Neace turns ugly, setting off a melee at the gym. Team Mayhem goes for its fifth straight win as two more featherweights face off. 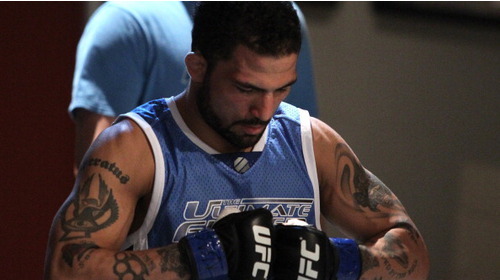 TUF 14 Ep.6 Thrown to the Lions Oct 26, 2011 (36:49) Featherweights Diego and Siler settle their feud in the Octagon. 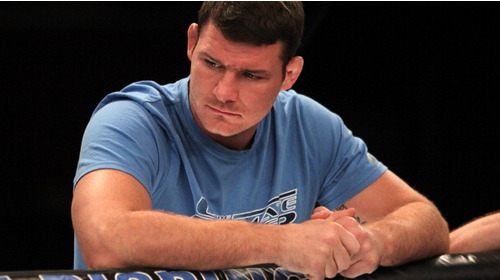 Bisping mouths off to Team Miller. TJ makes a claim that turns his teammates against him. A second fight sends one more competitor to the Semis. 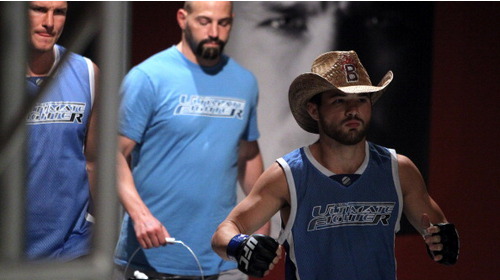 TUF 14 Ep.7 Draft Dodger Nov 2, 2012 (36:56) An infected foot puts Roland's fight future in doubt. Annoyed by TJ's cockiness, Akira and Diego teach him a painful lesson in training. After the last preliminary fight, Dana announces the semifinal matchups. TUF 14 Ep.8 Don't Do This at Home, Kids Nov 9, 2011 (37:01) Team pranks reach a new high as Bisping and Tiki execute their master plan against Team Miller. Akira’s antics earn him a handful of new enemies. A spot in the Featherweight finale is at stake when Akira faces Dennis in the first Semifinal. TUF 14 Ep.9 Get Me To The Finals Nov 16, 2011 (37:09) In the coaches’ challenge, Miller and Bisping play a high stakes game of air hockey on the roof of the Palms. 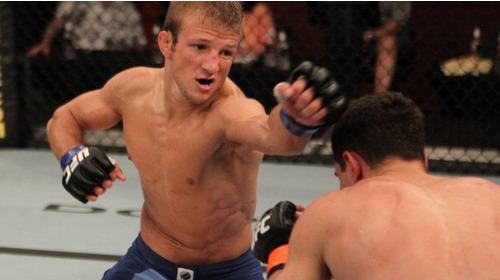 And bantamweight semifinalists TJ Dillashaw and Dustin Pague contend for a spot in the finale. 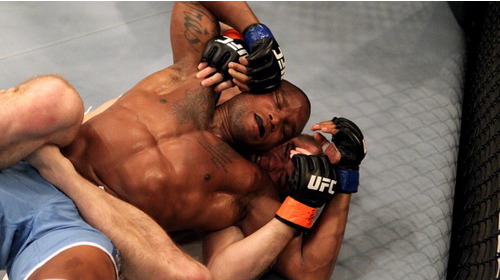 TUF 14 Ep.10 It's About To Go Down Nov 30, 2011 (35:48) The last two semifinals determine who will move on to the finale. 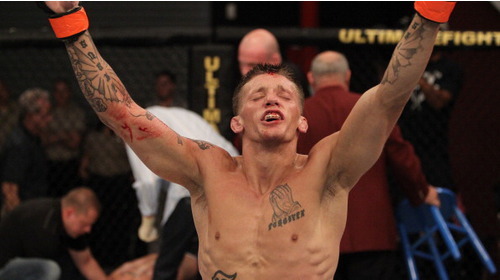 Bantamweight Johnny Bedford looks to shut down loud-mouthed teammate John Dodson. 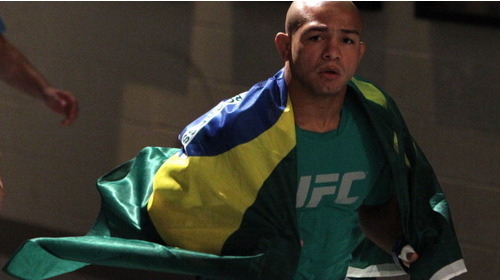 And loose cannon Diego Brandao challenges nervous Nellie Bryan Caraway for the Featherweight slot. John Dodson vs. TJ Dillashaw TUF 14 Finale Dec 3, 2011 (10:39) The bantamweight final saw the two odds on tournament favorites collide as Team Miller’s John “The Magician” Dodson, with his incredible knockout power, took on Team Bisping’s TJ Dillashaw, who possessed dynamic striking & submission skills. 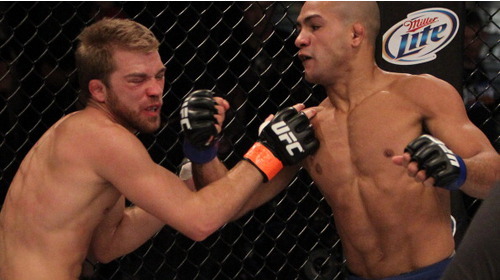 Diego Brandao vs Dennis Bermudez TUF 14 Finale Dec 3, 2011 (14:30) Agile, mobile, & hostile! The featherweight final was non-stop exciting from beginning to end as Team Miller’s Dennis “The Menace” Bermudez was shot out of a cannon at Team Bisping’s Diego Brandao who was launched from a catapult at the same time.